Even the most seasoned holiday makers will recognise that this Surfers Paradise apartment accommodation is great value for money. Baronnet Apartments are the perfect holiday accommodation for couples and families wanting to stay in the heart of Surfers. You couldn’t get closer to all the action. Well perhaps you could, but this is probably where you would be most comfortable. The Baronnet Apartments the perfect sanctuary just south of the hustle and bustle of Surfers where you can enjoy the peace and quiet of the apartments and the lovely resort facilities. Located on Enderley Avenue, just minutes from Cavill Mall and 50 metres from the beach, the Baronnet Apartments will set you up for the perfect holiday in Surfers. Where else can you shop, surf and be entertained (night and day if you want) and also be so close to a range of Gold Coast attractions, think Sea World, Palazzo Versace and Pete’s Fish Market, and also the theme parks just a twenty minute drive away. If you’ve come for a romantic escape our fully self contained one bedroom apartments are roomy and spacious with great views of the ocean, and all the mod cons you would expect. Free wi-fi, Foxtel on large flat screen televisions and compact but very functional kitchens where you can prepare your holiday fare. The same goes with our two bedroom apartments, families will find this accommodation the perfect fit for their holidays. The family will especially love the outdoor entertainment area, the cute pool area has an outdoor dining furniture and BBQ with a spa pool for family members to enjoy while the evening meal is cooking. Lockup your car in the secure car park and ride the G:Link, the Gold Coast’s very efficient public transit system, whether it’s on the bus, light rail or tram you’re sure to get there with the least amount of fuss, or hassle. 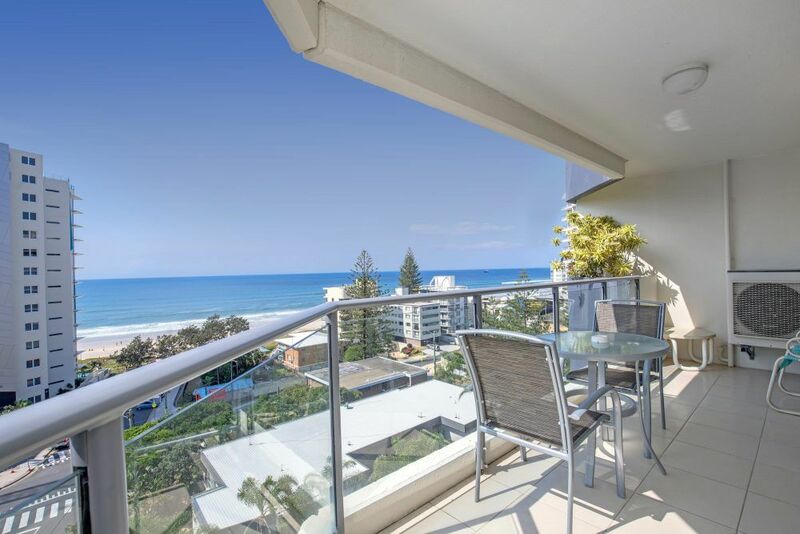 With Baronnet Apartments being the perfect holiday accommodation for couples and families wanting to stay in the heart of Surfers, now is the time to book this Surfers Paradise apartment accommodation for your next getaway.